Have the satisfaction of knowing that they are part of an organization responsible for bringing international films and filmmakers to Austin, Texas! 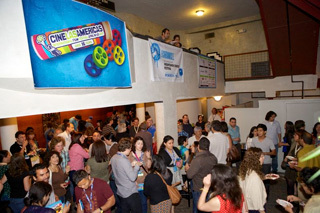 Cine Las Americas offers diversity and artistic excellence in Latino and indigenous film exhibition, education and promotion, contributing to make Austin an important international destination known for its culturally diverse population and cultivated cinema audiences. As a 510(c)(3) non-profit organization, Cine Las Americas depends on the support of individuals and organizations to fulfill its mission. By supporting Cine Las Americas programs, you can make a difference and support world-class international cinema, while staying closely involved with the Austin community. Cine Las Americas now opens its doors to a membership program that allows the greater Austin community the opportunity to directly support and be part of the organization’s programs. Discounted prices on Film Festival Passes, and year-round Signature Series screenings for one. Discounted prices on Film Festival Passes, and year-round Signature Series screenings for two. Discounted prices on Film Festival Passes, and year-round Signature Series screenings for two; free Festival Pass for one; donor recognition; invitation to special events for one. Discounted prices on Film Festival Passes, tickets, and year-round Signature Series screenings for two; free Film Festival Passes for two; donor recognition; invitation to special events for two. Discounted prices on Film Festival Passes, and year-round Signature Series screenings for two; free Film Festival Pass for one; free Singnature Series for one; donor recognition, invitation to special events for one. Discounted prices on Film Festival Passes, and year-round Signature Series screenings for two; free Film Festival Passes for two; free year-round Signature Series for two; donor recognition; invitation to special events for two. Discounted prices on Film Festival Passes, and year-round Signature Series screenings for two; free Film Festival Passes for three; free year-round Signature Series for two; discounted prices on other events for two; donor recognition; invitation to special events for two; member of the Film Festival circle for two; a portion of your donation may be tax deductible. Discounted prices on Film Festival Passes, and year-round Signature Series screenings for two; free Film Festival Passes for four; free year-round Signature Series for four; discounted prices on other events for four; donor recognition; invitation to special events for four; member of the Film Festival circle for four; a portion of your donation may be tax deductible. Discounted prices on Film Festival Passes, and year-round Signature Series screenings for two; free Film Festival Passes for six; free year-round Signature Series for six; discounted prices on other events for six; donor recognition; invitation to special events for six; member of the Film Festival circle for six; a portion of your donation may be tax deductible. Discounted prices on Film Festival Passes, and year-round Signature Series screenings for two; free Film Festival Passes for ten; free year-round Signature Series for ten; discounted prices on other events for ten; donor recognition; invitation to special events for ten; member of the Film Festival circle for ten; a portion of your donation may be tax deductible. - Discounts: Members receive discounted prices on Film Festival Passes, and year-round Signature Series screenings. A $10 discount when purchasing Film Festival Passes (Value: $80); and a $2 discount when purchasing Signature Series tickets (Value $10/each). - Free Festival Pass: Members receive one or more free, personalized Film Festival Passes (commonly known as a Cine Pass, valued at $80). 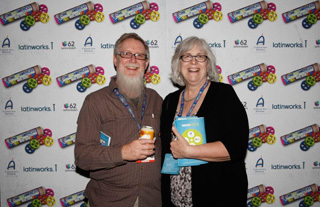 The Cine Pass guarantees preferred access to all Film Festival screenings and events. Cine Pass terms and regulations apply. - Free year-round Signature Series: Members receive one or more free tickets to all Cine Las Americas Signature Series at the Alamo Drafthouse screenings (Value $120/year). 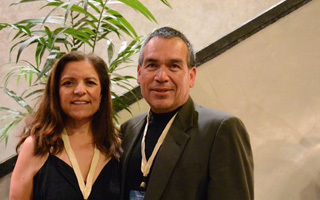 - Donor Recognition: Members are recognized as supporters of Cine Las Americas in printed materials, web site, and/or verbally at selected events. - Invitation to special events: Members receive one or more advance invitations to Cine Las Americas Special Events and Screenings, including free outdoor screenings at Takoba Restaurant and other venues. - Member of the Film Festival Circle: Members receive special invitations to film festival pre-screenings, access to reserved seating at all screenings, invitations to private receptions and meet-and-greet events, filmmaker receptions, etc. - A portion of your donation may be tax deductible: The tax-deductible value of your donation will be calculated by sustracting the fair market value of the services and goods received from the total amount of your donation. 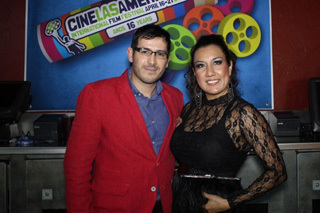 Who are Cine Las Americas' members? Cine Las Americas programs are designed to be enjoyed by diverse groups and individuals who identify themselves with, or simply find joy in international cinema, Latino cultures, indigenous heritage from the Americas, Spanish and Portuguese languages, watching movies on the big screen, and keeping a vibrant, truly diverse, and international character in the cultural landscape of the great city of Austin. As all films screened by Cine Las Americas are subtitled in English, no special language skills are really necessary, only the curiosity to watch, be challenged and entertained, learn, and enjoy what the vast universe of Latino and indigenous cinema has to offer to the world. What does your membership do for Cine Las Americas? Contributes to make Austin an international destination known for its culturally diverse population and cultivated audiences. What can a Cine Las Americas membership do for you? What makes Cine Las Americas unique? Austin is internationally known as a film town. In addition to this, the unique character of the City, along with its geographic location contribute to a rich cultural atmosphere. In a town with many cultural and entertainment options, Cine Las Americas programs offer a truly international character by representing the fastest growing demographic in the United States, while integrating these cultures to the wider multicultural landscape of Austin. Cine Las Americas audiences not only have the opportunity to watch films that otherwise would not be available for public exhibition, on the big screen and with English subtitles, but they are also privy to learning the importance and relevance of these works through the unique experience that only these specially curated Latino and indigenous film exhibition programs can offer. Cine Las Americas works directly with filmmakers, distributors, industry representatives, and government agencies in order to acquire temporary rights for the exhibition of the films it offers to the public, whether these screenings are offered for a ticket price or free of charge. By doing this, Cine Las Americas functions as a cultural agency representing Latino and indigenous cultures, and also as an international film institution that engages artists and industry professionals in business and supports the production and exhibition of quality cinema.